“Welcome financial relief” is how one student, who is also a young father, describes the 10% discount he will enjoy with Shoprite’s Student Day on 7 February 2018. Munsoor Ul-Haqq Rawoot (25) plans to do his monthly grocery shopping, which generally amounts to R1 500 at Shoprite Mitchells Plain, Cape Town. “The R150 I’ll save might seem insignificant to some, but in the current economic climate every little cent you can save, counts,” says Munsoor, a final year marketing student, who plans to put his savings towards buying nappies for his one-year-old daughter. His sentiment is shared by Zethu Gogodla (19), a second-year Electrical Engineering student, who lives in a self-catering residence. She forks out around R800 per month on groceries and commends the retailer for looking out for people like herself. “Any savings I’ll make means more money for data,” she explains. “Financially it’s tough to be a student. 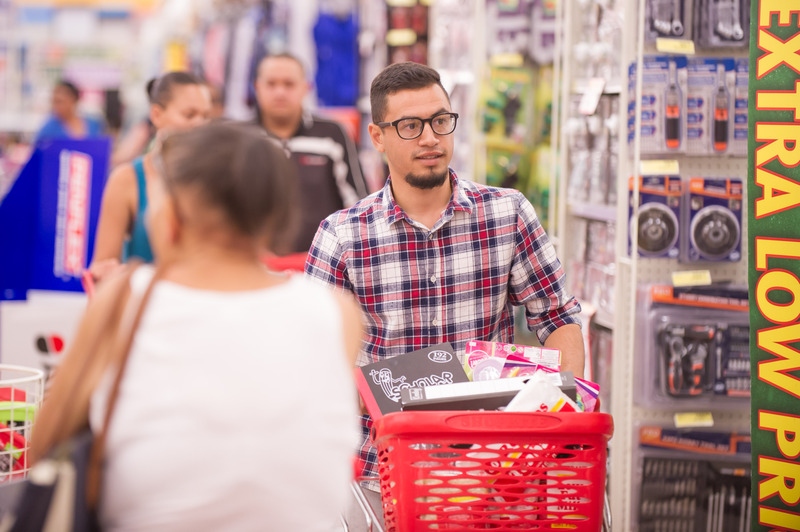 As the low cost retailer, we’re constantly looking at ways to help ease the financial burden on students and it’s for that very reason that Student Day has now been extended to include all Shoprite stores in South Africa and selected Checkers stores,” comments Neil Schreuder, Marketing Director for Shoprite and Checkers. “We hope that Student Day will bring some welcome relief at the start of the new academic year.